24/7 guardianship service, offering a high level of support and a hassle-free experience. 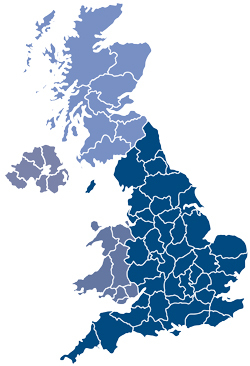 Our guardianship service covers the whole of the UK. We offer a range of guardianship services, starting at just 188.00 GBP per term. Regular contact with students, parents, schools and agents. Free university placement service for every guardianship student. Friendly, experienced, international team with a dedicated AO (Administration Officer) for every student. Acting on behalf of parents with issues in the school. We care about the welfare of every student and assist them in becoming independent young adults. Academic mentoring and monitoring services available, allowing students to reach their full potential. A team of qualified and experienced tutors on hand to provide extra support to students upon request. Good connections with day schools and boarding schools in all areas of the UK. UKG can help students to gain admission into the best schools and universities in the UK, enabling the best for their future. We offer a range of guardianship services, starting at just 190.00 GBP per term. Friendly, experienced, international team with a dedicated Guardianship Coordinator for every student. A team of qualified and experienced tutors on hand to provide valuable support to students upon request. UKG is an accredited member of AEGIS, the Association for the Education and Guardianship of International Students. 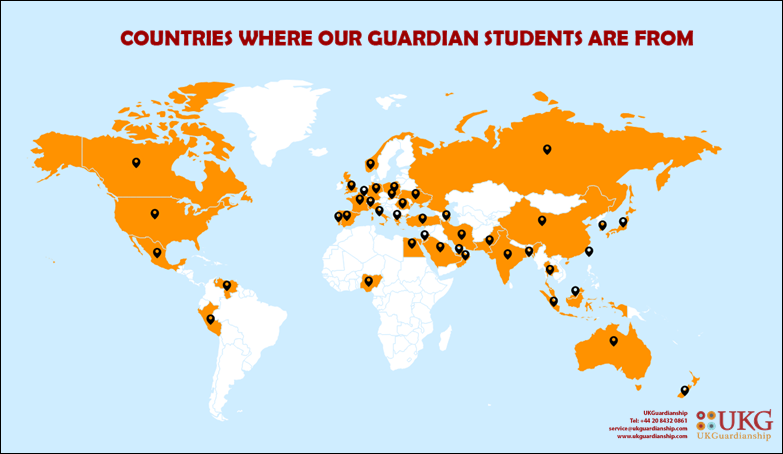 We are really proud to have guardianship students from over 40 countries all around the world! Oscar winning actor Eddie Redmayne and co-star Dan Fogler. We are all very jealous in the UKG office!